We’re moving to a new database, and we want to make sure that we get all your details right so you only receive from us the things you actually want. Please feel free to contact us to confirm your preferences for emails and post. 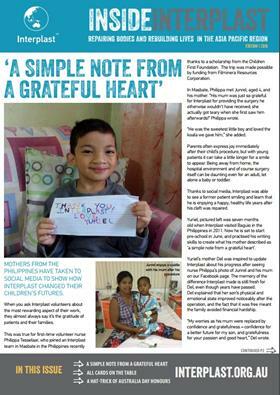 We’ll be mailing out the next edition of our printed newsletter, Inside Interplast, at the end of February. Please let us know if you would like a copy, or if you get one when you didn’t wish to (you can also download previous editions, such as the one pictured above, from our website). 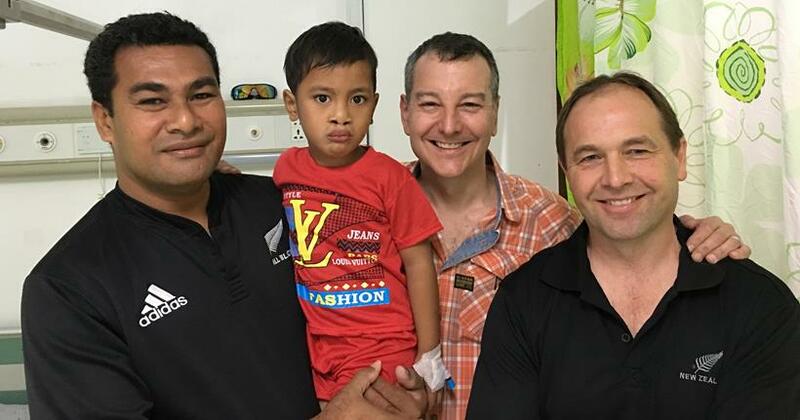 After many years of waiting, last year Daniel from Samoa finally had his bilateral cleft palate repaired by a visiting Interplast team. It was a great outcome for the young boy, opening up a brighter future that will include less chance of social exclusion, better speech development, ease of eating and drinking, and more. But his story illustrates the challenges of treating conditions that are dealt with quite early in a child’s life in countries such as Australia and New Zealand. Find out more in this story on our website. We’ve had a fantastic response to our upcoming Everest Base Camp Trek with Turia Pitt, with 31 trekkers now signed up for the adventure of a lifetime. They’re all training hard, and making a great fundraising effort to reach our team target of $200,000. 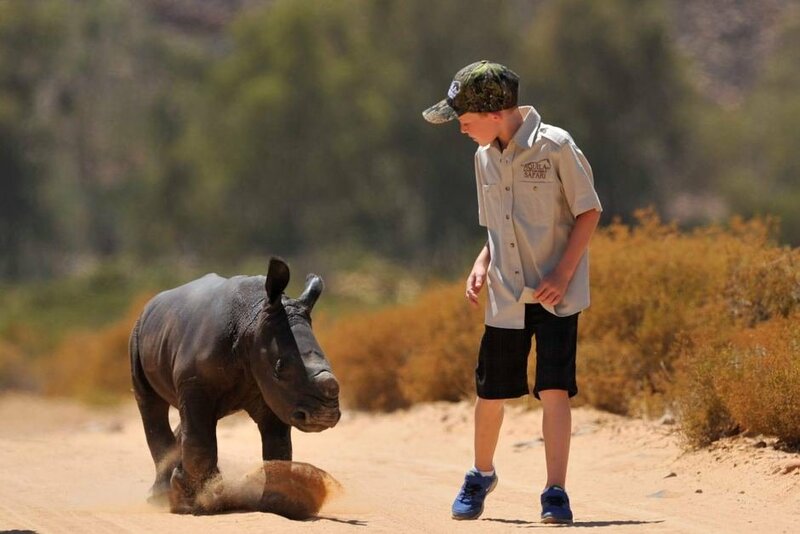 Examples include Sam Taylor, whose young sons (pictured) have been selling snacks to help their mum out, and Ella Ravell, who has been selling succulents and hosted a movie night. Can you help them out? Head to the Turia’s Everest Trek website to donate and push Turia and our amazing team past their fundraising goal! Special thanks to our sponsor, Mountain Designs, for their generous and ongoing support of Interplast and our trekkers. The start of the New Year is a very busy period at Interplast. We kicked things off with a surgical mentoring visit to Vanuatu and a craniofacial surgery mentoring program in Colombo, Sri Lanka, which was also attended by a Nepali surgeon who travelled from Kathmandu. Later in February, a head and neck surgical mentoring program will also be delivered in Colombo. Three full general plastic and reconstructive surgical programs will be delivered in Laos, Tonga and the Philippines. The Laos and Tonga programs will also include an allied health component, with either a hand therapist or a physio supporting the surgical team with the follow-up of patients and providing training to local staff. The next six months are looking very busy as we aim to have delivered about 80 programs by the end of the financial year, and we will soon be starting our program planning for 2017-18. We were delighted to be part of the first leg of the 2017 Rotary Showcase Roadshow in Bendigo, northern Victoria, on Australia Day. About 15,000 people walked the circuit around Lake Weerona to learn about the many ways that Rotary is working for a better world. The most frequently heard comment was “I didn’t know that Rotary did all of these things”. Pictured you can see the local Chinese dragons dancing past the Interplast stand. View a gallery of images from the day here. Two more showcases will be held, one at Melbourne’s Federation Square in February and the other at Echuca, Northern Victoria, in June. Our thanks to the Rotary clubs of Bendigo and region, and the District 9800 team. 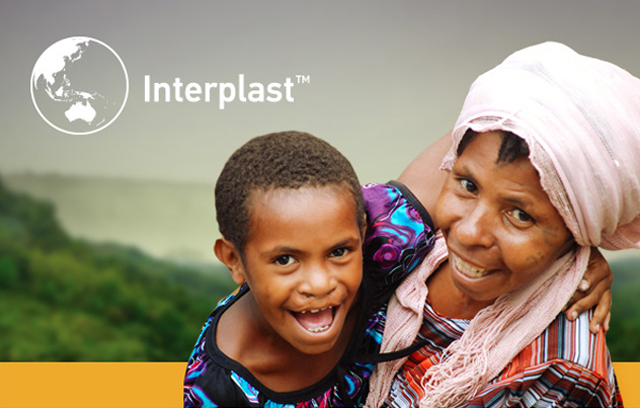 Find out more about the important partnership between Rotary and Interplast here. Many thanks to everyone who contributed to our Breast Cancer Education Appeal – you’re helping to educate women in the Pacific about breast cancer and making a difference for them and their families. The next nurse education program that will include breast care education will be taking place in Honiara, Solomon Islands, in late May. The team will include three nurse educators, including Leah Lynch-Rurehe, a breast care nurse who will be returning to Honiara after her previous visit in June 2016. She will aim to continue breast self-examination training and provision of educational resources to the six remaining Honiara City Council clinics, along with education sessions in local churches. She will also provide education about a range of cancers as part of the Interplast nurse education program at the National Referral Hospital in Honiara. We hope to extend these types of programs to other Pacific countries soon. Your ongoing financial support allows us to continue our work to repair bodies and rebuild lives. Please make a secure online donation via our website donation page. Please click HERE to view – download the ‘Rotary On The Move’ Newsletter for February 2017. We often ask members of the public if they are aware of the nature and work of Rotary in the community and are surprised when one of the major responses (sometimes the only response) is that Rotarians are involved in “sausage sizzles”. In an atmosphere where clubs are starved for recognition the catering experience is an excellent way of interacting with the public at large. Whether it be sausage sizzles at the local Bunnings or BigW, gourmet breakfasts, Do-nut vans or coffee supplies at special events there is always the opportunity to promote the work of Rotary to the public at large. But do we take advantage of the opportunity to promote our service activities? I know there are some customers who are there for the solely for the food and beverage but it is also amazing the number of people who are willing to chat and find out about our work as Rotarians. How do we make the most of our brief period of interaction? Not rocket science but the following are some of the ways in which I have seen clubs promote themselves at sausage sizzles. · Display the club banner · Hand out What is Rotary pamphlets · Promote club projects · Include Rotaractors · Invitation to visit the club or attend a club promotional activity · Past Rotary magazines for distribution to interested people · Encourage people with disabilities and carers to assist As well as the obvious benefits, such as the funds raised there are a variety of knock on effects that appear to be evident at most catering events. · Rotarians have fun · Rotarians are a diverse group including women and many cultural backgrounds. · Site owners are prepared to be sponsors or donors for other club events. For many small clubs and country clubs the sausage sizzle is an excellent way in which a small group of members can raise a significant amount of money to carry out visible community projects without members having to dip into their own pockets. Also for many clubs it is a cheap method of promotion that if marketed well can be a source of effective advertising of all those other wonderful projects of Rotary. So, make the most of the sausage sizzle, don’t knock it! Please click to view February RAWCS Rover”. We hope you can join us at the next RAWCS meeting in Canberra 25th and 26th February. Details in the Rover. Amit says it feels like our team has been in India for a week, but really it’s been about two days. It definitely feels like a lifetime. This is the first Rotary staff Sub-National Immunization Day (SNID) trip to India, and our schedule is full of activities to experience and understand the fight to end polio. On this day, our colleagues at Rotary’s National PolioPlus office, Amit, Lokesh, and Deepak, arranged for us to take part in a polio awareness rally in Khera Khurd, a village on the outskirts of Delhi. We first arrive at the local school and are greeted with beating drums, beaming smiles, and fragrant flower garlands. We are each welcomed with a tilaka on the forehead, made of red paste (for peace), rice grains (for happiness), and coconut (for success). We meet with Rotarian and community leaders, school administrators, teachers, and the schoolchildren. Many selfies and giggles later, we are treated to a special dance by girls in vibrant costume. You can tell from their proud and happy expressions they’ve practiced quite a bit. They very clearly have a “momager” who is first orchestrating from the side, then, overtaken by joy, joins the girls. They loop us one by one into the dance. We shake and twist our arms, flutter our hands in the air, put our feet out and lean to the side. We smile and laugh and our delight is captured on camera. Quite a celebration. Thanks to the efforts of Rotarians and their partners, this is no longer such a tall order. The dancing and singing at the school leads into a parade through the village. There are signs, happy shouts, banners, and balloons. January 2011 marked India’s last case of polio and the country was officially certified polio-free by the World Health Organization in 2014. The excitement is genuine; it is vital to celebrate this tremendous success. It is also critical to keep sharing the message as polio is endemic in two countries in close proximity to India (Pakistan, Afghanistan) and recently resurfaced in Nigeria. Heading home after a successful polio rally in Khera Khurd. At the end of the parade, we are covered in dried sweat, dirt, and sunblock. We are also grinning from ear to ear. As our van heads back to our hotel in Connaught Circle, the driver turns the radio to a station playing 80s music. We hear the strains of a very familiar song, the theme music from Dirty Dancing: “I’ve had the time of my life/ No, I never felt this way before…” We ask the driver to turn up the volume and join in the song: “Yes, I swear… it’s the truth/ And I owe it all to youuuuuu…” We laugh and continue to dance and sing along to some old favorites. It is strange but fun to hear “Mambo Italiano,” for example, as we drive through Delhi. Gradually our energy fades, much like the fragrance of our flower garlands, as we nap and recharge for our next adventure. RAGES will be looking for a new Chair in June at Atlanta. I have to concentrate on my work as a District Governor for my District 9700 in 2018-2019. Enjoy a magical weekend in Foster on the NSW Mid North Coast…………………… The perfect get away. This a great weekend for your club members. The Rotary Club is staging Opera by the Lake at John Wright Park, Tuncurry beside the beautiful Wallis Lake on 4th March 2017. You’ll enjoy this fabulous musical journey featuring Voci Stupende with up to 6 performers with solos, duets, trios and the whole ensemble. This will be an afternoon of glamour and glitz with arias and songs from some of the world’s best kn ow operas and musicals. Gates open at 1.30 pm. While enjoying a glass of wine and local oysters or a cheese platter, a trio of string musicians will entertain you. ……………..at 4.00 pm Voci Stupende will burst on to the stage and delight you with their fabulous voices until 6.00 pm. ……………………and there is still time to enjoy the local cuisine at one of our local restaurants. Book your tickets today on line at www.operabythelake.com or telephone 1800 802 692. I wish to confirm that your District has arranged a Group Study Exchange (GSE) exchange with German District 1900 from the Rhine/Ruhr area. Their team of five [a team Leader and four team members] will be in our district from Sunday 26 February through to Monday 27 March 2017 when they depart. Our team of also five will be in the German District from 28 May through to 25 June 2017. The end dates of these exchanges coincide with attendance at the District Conference. Thurs 23 – 26 March – Laurieton inc Conference. I have arranged for the team to fly into Port Macquarie on Sunday 26 February to commence their exchange. What I am asking for is assistance from the Cluster 6 Clubs to provide accommodation for the nights of 18,19,20 March and to liaise with the Coonabarabran Club for travel to Tamworth and then with Taree clubs for the next stage of their exchange. The clubs will also need to assist in providing vocational exchanges and also a regional tour re sightseeing etc. See attached draft page for example. Further details of their team will be provided in due course along with more details of each individual’s vocational requirements. Yvonne Kübeck yvonnekuebeck@gmx.de birthdate 22/1/90. Sponsored by RC Bielefeld-Sparrenburg. Vocation – Sales Management. If I could be provided with the relevant contact points for liaison purposes I can then work with them directly. Motion: That the minutes be accepted as read. Dorothy Barwick has had further discussions with the Westpac Bank and has been advised that the “appropriately labelled” cheque books for our club have been re-ordered and I will let you all know when they arrive. Dungowan Fair Account $2,820.00 Cheque from Dungowan Fair Committee deposited in the Dungowan Fair Account. Dorothy Barwick advised that trophies are to be presented at the conference in Taree and our club might be in the running for the club with the most new members, Dorothy may be the Rotarian who nominates the most new members. Dorothy spoke to Morrie Stack and has arranged for our club to have a table at the conference to promote our club. Dorothy Barwick announced that she is getting a sample Club Tee Shirt made up so that club members can see what is being proposed. John Mackay has advised that he will contact Bill Warburton to see if he is prepared to act as auditor. My intention was to have MYOB accounting facilities in place before contacting him. I have since discovered that MYOB is no longer a “buy it and own it forever” program – they now make their program available on a “cost per month” basis. This is not acceptable to me as it represents an ongoing cost to the club. I am investigating alternatives. The Armidale Tech Fest is on from the 31st of March to the 2nd of April. It is an interesting presentation of up and coming developments in technology for people interested in technology or even for parents who want to ponder the sort of future, pressures, careers, opportunities and threats our children will be exposed to in the future. The Rotary Club of Tamworth are holding a fundraising dinner for “the School of St Jude”. This school provides a western style education for 1900 students. The school is located in Arusha, Tanzania, East Africa. The dinner is at The Grand Ballroom at West Diggers Club on Wednesday 30th March. Time 6:30 for 7:00pm. The cost is $50.00 for a two course meal. Wine, water and juice on the tables. Next “Go To Meeting” is scheduled for Thursday, 10h March 2016 at 7:00 pm.